A pre-dawn attack Saturday on a transmission tower in Baghlan province left Kabul with 95 megawatts, less than a quarter of its normal power supply. KABUL: A massive power outage in Kabul has left many residents of the Afghan capital with no lights or running water, officials said Sunday, after militants blew up an electricity pylon in the restive north. A pre-dawn attack Saturday on a transmission tower in Baghlan province left Kabul with 95 megawatts, less than a quarter of its normal power supply, said Wahid Tawhidi, a spokesman for power utility Da Afghanistan Breshna Sherkat (DABS). Efforts to repair the pylon had so far failed as heavy fighting prevented a local DABS crew from reaching the site, Tawhidi told AFP. "Today when our team tried to go to the area, rockets were fired at their vehicles and they had to turn back," he said. The provincial governor's spokesman Mahmood Haqmal said Taliban fighters had used a mine to "bring down" the power line. "They have escaped the area but some of them are still in the mountains, preventing engineers from fixing the pylon," Haqmal told AFP. Taliban spokesman Zabihullah Mujahid told AFP that the militant group had "cut a cable in Baghlan province". This is the fourth outage in recent weeks caused by militant attacks on the power line transmitting electricity from Uzbekistan and Tajikistan. It has also affected neighbouring Nangarhar and Parwan provinces, Tawhidi said. 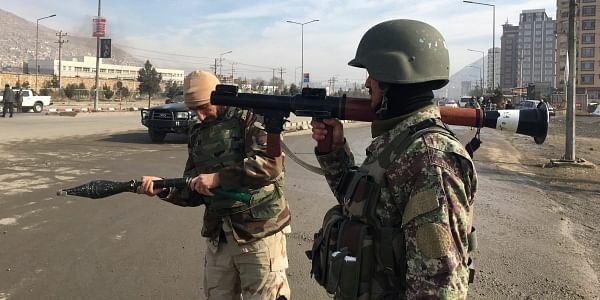 The Taliban warned last month that they would continue to cut power to Kabul unless their demands for electricity in areas under their control in Baghlan and Kunduz provinces were met. Residents in Kabul have been forced to make do with just an hour of electricity a day, sparking a firestorm of complaints on social media. "We had one minute of electricity then no electricity the whole day. What kind of electricity this is?" Ahmad Zia Jamal wrote on Facebook. Another Facebook user, Shabnam Khurasani, posted: "Power cuts in Kabul are intolerable." The bulk of Afghanistan's electricity comes from neighbouring countries but the amount is insufficient to meet demand. Residents in the Afghan capital are used to power shortages during the colder months when usage is higher, but supply is normally more plentiful in spring and summer. Many people have diesel generators to provide backup power to their homes and businesses. Others go without, relying on battery-powered torches for light and drums of water to bathe and flush toilets.